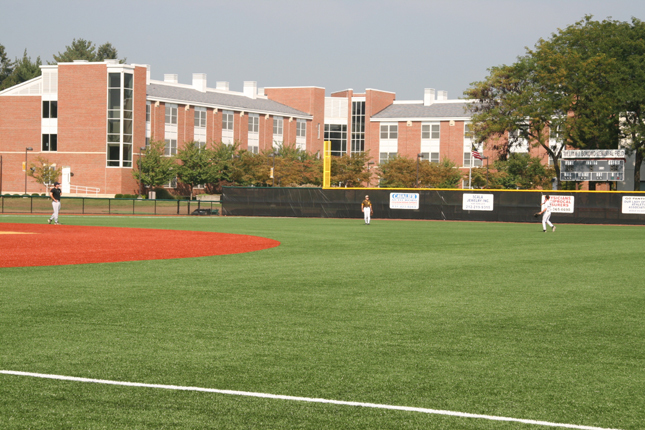 Adelphi University Baseball and Softball Fields | Blades & Goven, LLC. 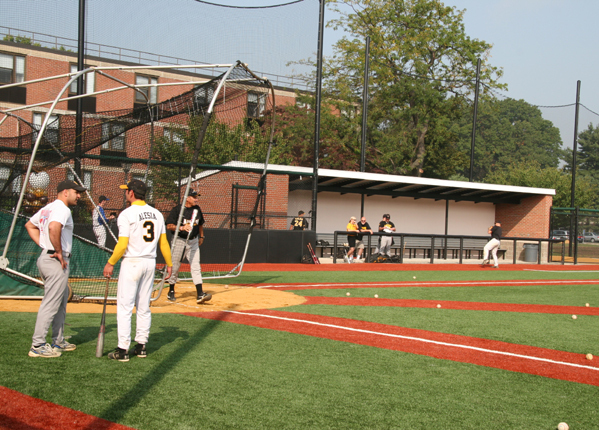 As a central feature on this suburban Long Island campus, Adelphi University wanted to upgrade their baseball and softball complex into a first class facility. Blades & Goven provided landscape architectural design services for the field and related site improvements. 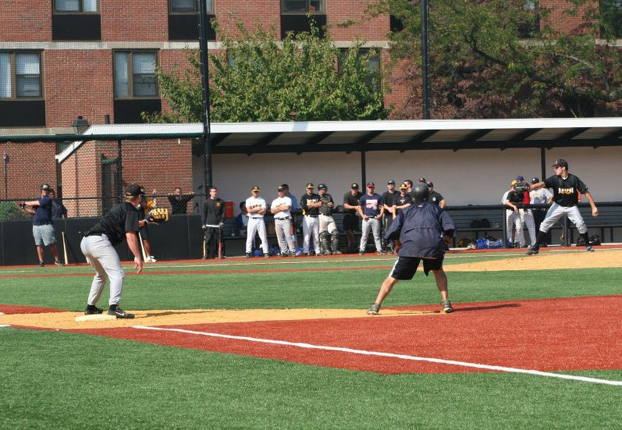 Various artificial turf surfaces were investigated to ensure that its performance characteristics were appropriate for baseball, softball and recreational field hockey. 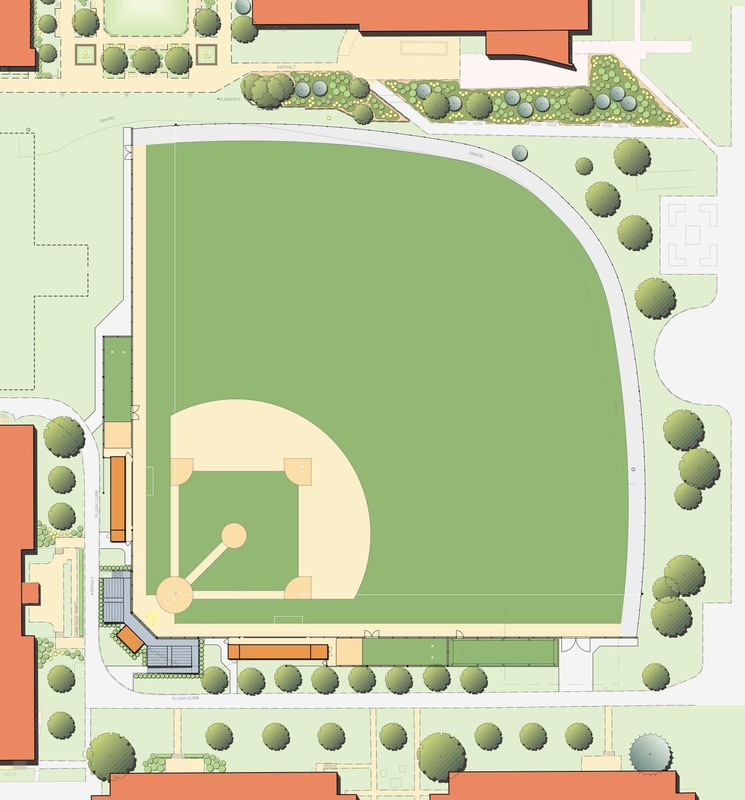 The project included new spectator seating, dugouts, bullpens, batting cages and a perimeter netting system to provide protection for adjacent buildings.